This note layout is the most common steel drum pattern in the world. Whether you are a total beginner or a jazz musician, having the cycle of fifths pattern makes many of the music theory concepts so much easier to understand. If you happen to play the steel drums cycle of fifths lead then this is the natural pattern for you to have a small drum to travel with. These symmetries and the fact that it is a single drum make it the perfect candidate for strumming chords and playing counter melodies. 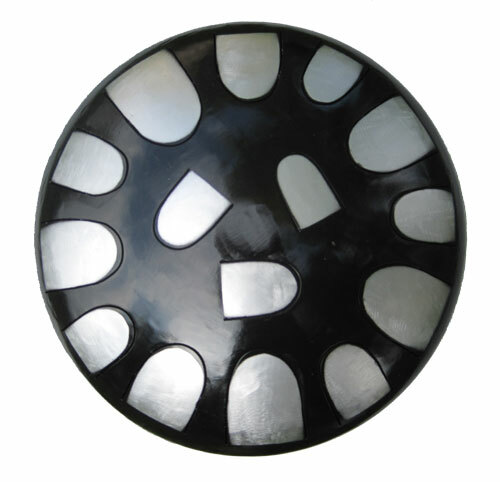 By incorporating techniques used in traditional steel drum building and metal working, Rockcreek is able to fit twelve notes around the rim of the drum and three in the center. This allows for a full cycle of fifths octave starting at middle C around the rim of the drum and three octave notes (C, C# and D) in the center. It can be played with bare hands or with the mallets. This drum has a 12 inch diameter and weighs 9 pounds. It comes with a set of mallets and an instruction booklet. We are currently offering free shipping for this drum.